The mouth is the tipping point between illness and wellness. 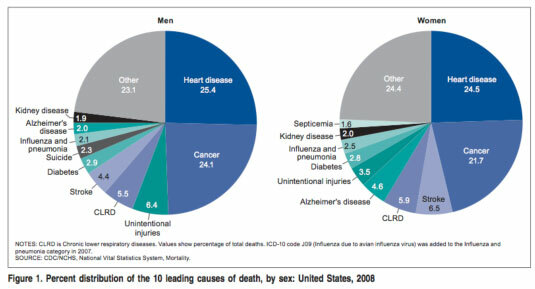 There is a Chinese proverb that says, “Diseases enter by mouth.” That is true about America’s Leading Causes of Death (2008): heart disease, cancer, medications (correctly prescribed and used as directed), chronic lower lung disease, accidents, Alzheimer’s disease, and diabetes (1). The mouth is involved in every one of them, either directly or indirectly. Do you enjoy your foods, or do you suffer when eating and drinking? Besides pleasure, there is a more basic purpose to eating and that is to provide your body with the ingredients it needs to make energy and stay health. You can control your health care cost and fate starting with what you eat and how you eat. Eating fast, for example, is associated with insulin resistance (2), higher blood sugar and lower HDL (“good cholesterol”) in men (3) weight gain in middle-aged women (4). Eating is not meant to produce such results. What went wrong for them? A Holistic Mouth Doctor can recognize these mouth-body connections and refer the patient for appropriate medical, nutritional, and complimentary treatment before it’s too late. Just as the mouth is the gateway into the body, a Holistic Mouth Doctor’s office can be a turning point toward natural Whole Health. Click to read How to Eat for Health and Wellness. For Holistic Mouth Solutions to Killer Diseases Enter By Mouth, see How To Eat.